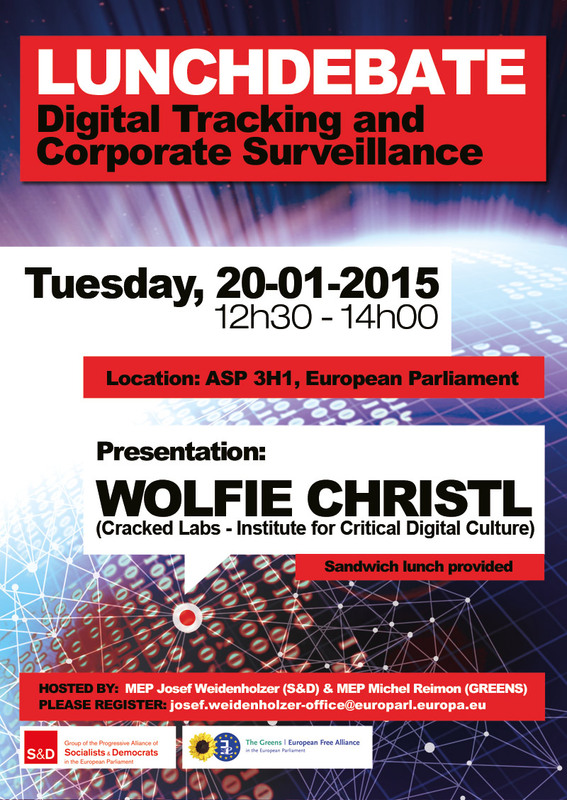 Wolfie Christl is a technologist, researcher, writer, educator, and digital rights activist based in Vienna, Austria. Communication engineer by profession, he studied (but did not complete degrees in) computer science, sociology, arts and media studies. He has been interested in digital culture, open source, community media, and the socio-cultural impact of information technology since the late 1990's. Until 2006 he was a part of Public Netbase, a digital art platform, non-profit ISP, and somewhat of an early hackerspace in Vienna. His most recent work is focused on surveillance, privacy, and the personal data ecosystem in today's digital age. In 2017, he published Corporate Surveillance in Everyday Life, a comprehensive report on “how companies collect, combine, analyze, trade, and use personal data on billions”, and How Companies Use Personal Data Against People, a working paper on “automated disadvantage, personalized persuasion, and the societal ramifications of the commercial use of personal information”. His 2016 book Networks of Control is, according to the “International Association of Privacy Professionals”, a “slow-burning horror film”, and, according to Paul Nemitz, Director Fundamental Rights at the Directorate-General Justice of the European Commission, “a must-read for anyone who is interested in today's data-driven world”. He has contributed to donottrack, an interactive web documentary series about digital tracking (The Atlantic, Forbes, Guardian), works as a trainer for employee privacy, and writes for newspapers such as the German FAZ. In 2013, he co-created Data Dealer, an award-winning online game on personal data and surveillance, which aims to raise awareness about privacy in a new and fun way. Data Dealer has received outstanding media coverage and substantial feedback from young people, teachers, media educators and the general public all over the world. It won numerous prizes like the e-virtouses Serious Games Award 2013 (France) and the Games for Change Award 2013 (USA). Christl and his projects have been featured in the New York Times, Forbes, and many other media outlets around the world. He has presented his research in the European Parliament and has held many talks, lectures, and workshops at various conferences all over Europe and in the US, including at universities, Austrian and German Federal Ministries, TEDxVienna, re:publica (Berlin) and the Chaos Communication Congress (Hamburg). Corporate Surveillance in Everyday Life. How Companies Collect, Combine, Analyze, Trade, and Use Personal Data on Billions. Networks of Control. A Report on Corporate Surveillance, Digital Tracking, Big Data & Privacy. Together with Sarah Spiekermann. Lecture "Living in Surveillance Capitalism"
Panel discussion about surveillance and social sorting, related to the performance Anonymous P.
Keynote at the conference of the IT Security Association Germany, the German Federal Ministry for Economic Affairs and Energy & more. Talk at the conference of “Cyber Security Austria” and “Abwehramt” - one of two Austrian defense intelligence agencies. Big data panel at the European Academy Bozen. Presentation/Lecture in the context of the “Faceless II Exhibition”, Quartier 21 / Museumsquartier. Talk “Personal Data in the Digital Age. Big Brother on Steroids?” at the “International Conference for the Information Community”. Keynote “Digital Literacy Education on par with Contemporary Digital Culture” at the Conference on “New Technologies and Media Literacy Education”. Talk “A Fun Game about Personal Data and Digital Privacy” at the Games for Change Festival 2013, ”Catalyzing Social Impact Through Digital Games”. 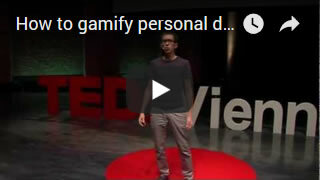 Talk “How to gamify personal data (business)” at TEDxVienna conference. Talk “Sustainable Web Technologies for Non Profit Organizations”, Interspace Media Art Center. 2003. Workshop. Understanding Mozilla mail & email basics. 2003. Workshop. Using Wikis for collaborative knowledge management. 2003. Talk about the history, technology & structure of the Internet. 2002. Several workshops. Creating dynamic websites based on the open source web app server Zope. 2002. Workshop. Creating dynamic websites based on the open source CMS phpWebsite. 2001. Talk about web publishing in the fields of art, culture & alternative media.